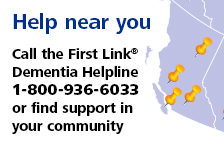 Victoria - 2018 | Alzheimer Society of B.C. On February 22 at Victoria’s Fairmont Empress, Bob Lenarduzzi, president of Vancouver Whitecaps FC, opened up about his family’s experience caring for two people living with dementia, while Jack Knox, columnist for Victoria’s Times Colonist, shared his thoughts on aging and seeing someone he was close to hide a dementia diagnosis to avoid the stigma of the disease. Emcee Joe Perkins of CTV Vancouver Island opens Breakfast to Remember, presented by Trillium Boutique Senior Living in Victoria. The fifth-annual Breakfast to Remember in Victoria was hosted by CTV Vancouver Island’s Joe Perkins and welcomed Health Minister Adrian Dix and Parliamentary Secretary for Seniors Anne Kang, both of whom spoke to the importance of the Alzheimer Society of B.C.’s work. Health Minister Adrian Dix was among notable guests to attend this year's event in Victoria. Your support helped us break down stigma and build a community of care for people affected by dementia. Breakfast to Remember, presented by Trillium Boutique Senior Living in Victoria raised more than $40,000 to support British Columbians affected by dementia. Combined with the Vancouver Breakfast to Remember event, we raised more than $230,000 towards making B.C. more inclusive and caring for people living with dementia. Maria Howard, CEO of the Alzheimer Society of B.C. addresses the crowd inside the Fairmont Empress ballroom. Thank you to all of our volunteers, guests and speakers of Breakfast to Remember, presented by Trillium Boutique Senior Living and a special thank you to all of our event sponsors.